Leon Wofsy Born Stamford, Connecticut, 1921, is Professor Emeritus of Molecular and Cell Biology / Immunology at the University of California at Berkeley. His career in science and academia began when he was almost forty years old. Earlier, for more than fifteen years, he was a leader of Marxist youth organizations. That experience began during the student upheavals at New York’s City College (CCNY) in the late 1930s, and encompassed the time of McCarthyism in the 1950s. Leon Wofsy married Rosalind Taub, in 1942. Wofsy became a professor at UC Berkeley in 1964 just as the Free Speech Movement was about to erupt. He is the author of many scientific papers and articles on social issues. He edited a book on the Cold War, Before the Point of No Return (Monthly Review Press, 1986). His memoir, Looking for the Future (IW Rose Press, 1995) is available online in the Free Speech Movement Archives, Book Collection, UC Bancroft Library. In 1995, Leon Wofsy, author of "Looking for the Future" was a member of Democratic Socialists of America. 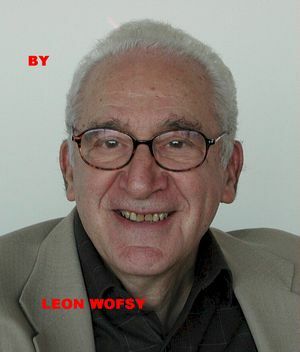 In 1992, Leon Wofsy, UC Berkeley (retired) endorsed the Committees of Correspondence national conference Conference on Perspectives for Democracy and Socialism in the 90s held at Berkeley California July 17-19. This page was last modified on 14 January 2012, at 01:21.